Testel Test and Tag Northern Territory electrical safety testing servicesare conducted by licenced electricians throughout Darwin and across the remote areas of the NT. Ensuring your electrical devices and equipment is safe to use, legally compliant and adheres to the OHS Standard of AS/NZS 3760:2013, Testel Test and Tag Darwin qualified technicians are able to make sure fire risks, electrical shocks and incorrect practice are eliminated and prevented from occurring in the first place. A type of “preventative” action, electrical testing by Testel Test and Tag Northern Territory will identify issues before they become a very real and serious problem. Electrical accidents are serious, being related to many deaths around the world each year – both in the home and the workplace. From residual current device testing to portable appliance testing, power outlets testing to emergency and exit light testing, Testel Test and Tag Darwin has an electrical testing service to ensure your staff and family are safe from harm and your assets are safe from damage. Testel Test and Tag Northern Territory licenced electrical technicians can help with two major kinds of electrical testing – either fixed or portable. That is, when a technician does a fixed installation electrical testing, they conduct an inspection of electricity that is contained within a building. This might include the lights or the power points. It is a fixed system. On the opposite side of the coin, a Testel Test and Tag Northern Territory technician might do a portable appliance test (PAT), which refers to those appliances that can be moved around the home or workshop. Testel technicians are fully across the Australian Standard AS 3760:2013. Any electrical item that is tested is also tagged (labelled), recorded and then entered into our computerised database. Reports can then be created at any time, which is particularly useful for those large companies who want to develop an overview of their electrical safety procedures and record. 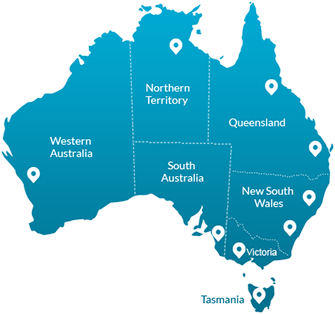 We provide services right across the Northern Territory, so whether you’re after a Testel Test and Tag Darwin technician or a remote service provider, contact us by phoning 1300 881 116 or email us to enquire or make an appointment.